Our Island is much larger than most people imagine. This popular tour includes three full days touring, including our renowned ‘Wilderness Wildlife’ and ‘Wilderness Wildscapes’ and ‘Island Culture’ Tours – all inclusive dinner, bed & breakfast and delicious home cooked lunches, great SA wines and beers, fresh coffee, entry fees and transfers. The tour begins with a meet and greet at selected Island accommodation or upon arrival at the airport. Then it’s off to Seal Bay Conservation Park. Here you will learn how the Australian sea-lion survives the rigours of the Southern Ocean. Walk amongst the colony of bulls, cows and pups as they rest on the beach. Journey further south and enjoy a pleasant, easy walk through the bush and come out at the base of KI’s spectacular and vast sand dunes of Little Sahara. Climb the dunes and enjoy stunning views of distant Bays and the serene, rural landscape. Fascinate in the wonder of its formation. From the South Coast we traverse the rural areas of the middle of the Island via the Parndana Wildlife Park. This park was set up as an ‘animal refuge’, where sick, injured, orphaned or unwanted animals could find a home. Marvel at the colours of the Australian Birds here, pat a Koala and feed a Kangaroo! Lunch today is a picnic of marinated Chicken breast, fresh salads, tangy Lemon Tart, complimented by a selection of beverages. Today your guide will meet you at your selected Island accommodation. Along the way to your first attraction we may call past KI airport to collect new guests arriving on the morning flight. We arrive at Rocky River, headquarters of the Flinders Chase National Park. Here, kangaroos laze and Cape Barren geese graze. The Chase is home to all our varieties of native animals and birds. On to Admirals Arch, an ancient limestone formation close to the ocean, a perfect haul-out area for an active colony of the New Zealand fur seal. Head back for a BBQ lunch of marinated steak, onions and potatoes, cooked in front of you by your guide (now turned chef!). This is complimented by fresh salads, local KI wines and other refreshments. For dessert spoil yourself by indulging in our special Pears poached in KI red wine, accompanied by KI’s unique Sheep’s Milk Yogurt. Enjoy all this served in the bush, whilst nestled amongst the beautiful tall Gum trees. Head over to the east of the Island and explore the quaint coastal township of Penneshaw. On the way we may call into Sunset Winery for a sample of their latest vintage. Enjoy your picnic lunch of roasted Beef Fillet, fresh salads and tasty fruits under the Paper Bark trees that line the Chapman River. Take a glass of wine and stroll along the beautiful Antechamber Bay to look for penguins, and fossick for shells. Climb up the oldest lighthouse in South Australia at Cape Willoughby on the far eastern tip of the Island. 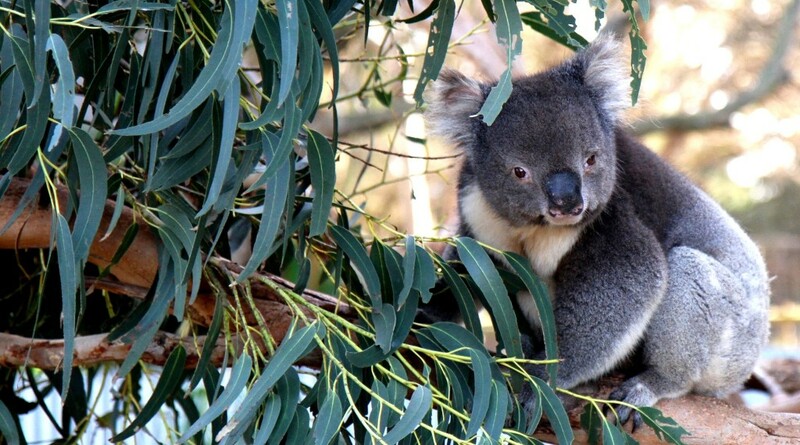 Maybe a visit to Emu Ridge Eucalyptus Distillery or Clifford’s Honey Farm may take your interest. End the day by the ocean, sitting on the rocks in Kingscote (KI’s capital “town”) marvelling at the Pelican’s soaring overhead as they wait for their daily feed. Sit back and reflect as you journey back to your Island accommodation or the airport for your flight back to Adelaide. NOTE: The order of Day 1, Day 2 and/or Day 3 may be re-ordered. Duration: 03 DAYS Times may vary depending upon conditions. Some portions of the itinerary may be substituted or forgone for operational reasons on the day. Wildlife: Sea-lions, Koalas, Kangaroos, Cape Barren Geese and more. 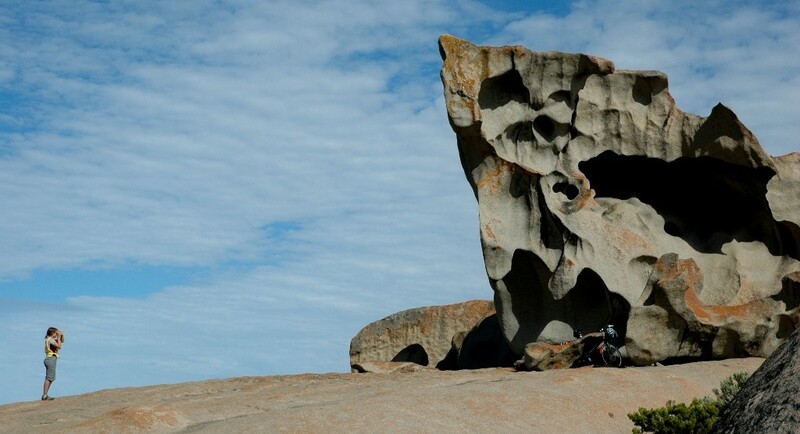 Scenery: Admirals Arch, Remarkable Rocks, the spectacular coastlines of Cape du Couedic and the South Coast to Vivonne Bay. The Eastern end of the island with it’s quaint towns, wineries, Cottage industries, Light House and Pelican feeding at the days end.